A short biography of Jean Louis Pindy: Paris Communard, anarchist and inventor of the Paindy. “Authority, in whatever hands it is placed, is always pernicious to the advancement of humanity” Pindy, writing in La Revue Blanche. Jean Louis Pindy was born on June 3rd at Brest in western France. A carpenter-joiner, he became a member of the Brest section of the First International in 1867. Moving up to Paris in the same year, he became heavily involved in workers organisation, and in a strike supported by the International where according to Russian anarchist Peter Kropotkin, he distinguished himself with his “vigour and bright intelligence”. He attended the Brussels Congress of the International in 1868 and the Basle Congress in 1869. Here he formulated the idea that the groupings of societies of resistance (workers organisations) would form the Paris Commune of the future and government would be replaced by the council of trades bodies. It was his phrase that ended the final resolution of the latter Congress: “The regime of wage slavery must be replaced by the Federation of Producers”. He was tried twice for his activities in 1870 at the second of which he was condemned to a year in prison as an Internationalist at the end of the third French trial of members of the proscribed International. On the 18 March, he took part in the occupation of the Hotel de Ville (main town hall) of Paris. On 26 March he was elected a member of the Council of the Commune by the 3rd arrondissement. He voted against the composition of the Committee of Public Safety, controlled by Jacobin republicans. On 31 March he was nominated as Governor of he Hotel de Ville, where the Council sat. He served as a colonel in the fighting. During the Bloody Week, when the Commune went down fighting against the Versaillais troops, he was nominated commander of the Tuileries palace. On 24 May, he gave the order to set fire to the Hotel de Ville. He was tried in his absence and condemned to death. When The Versaillais entered Paris, they shot three men in different parts of the city who they had mistaken for Pindy. He was hidden by a seamstress, who thanks to her calmness, saved him when the house was searched by troops. She later became his wife. He had to remain in hiding for twelve months up til March 1872, and eventually got over the border to Lausanne in Switzerland, then on to La Chaux de Fonds. Here he made contact with James Guillaume and became an active member of the Jura Federation. He learned assaying, “at which he became skilful; spending his days by the side of his red-hot stove, and at night devoting himself passionately to propaganda work, in which he admirably combined the passion of a revolutionist with the good sense and organizing powers characteristic of the Parisian worker”. (Kropotkin, Memoirs of a Revolutionist). He had a key role in administering the permanent fund for deportees of the Commune. On 16 September 1872, he took part in the Anti-Authoritarian Congress of the International at Saint-Imier, and in following conferences of the International. He was secretary of the Federal Bureau of the International in 1876-7. With Bakunin and Andrea Costa, he was one of those who planned for the projected insurrections in Italy in 1874. In 1877, together with Paul Brousse and François Dumartheray, he created a French section of the International, with its paper L’Avant-Garde. With Brousse he helped set up secret organisations within France . With Brousse he had represented the French Federation at the Berne Congress in 1876, and he was corresponding secretary of the French Federation, often organising fundraising for the attendance of delegates at conferences within France. Before the Congress of Verviers in 1877, Pindy met together with others - Kropotkin, Guillaume, Adhemar Schwitzguebel, Brousse, Costa, Vinas and Morago - at La Chaux de Fonds in August or September, to set up a "revolutionary community” known as the Intimate International. This would replicate Bakunin’s inner group of dedicated revolutionaries of 1864. Cafiero and Errico Malatesta, in prison at the time, were also associated with this grouping. Later the Intimate International – reduced to five by defections and retirement - were to correspond before the international anarchist congress held in London in 1881. Only Kropotkin and Malatesta were still enthused with the need to reconstitute the International, Pindy proclaiming that he was too pessimistic to do anything but wait for a spontaneous uprising of the working class. 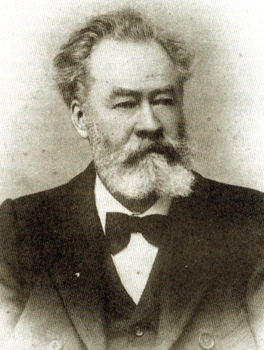 At the Congress of the Jura federation in 1880, the idea of anarchist communism was adopted as a principle thanks to the advocacy of Kropotkin, Elisee Reclus, Herzig and Dumartheray. Pindy, together with Schwitzguebel, declared themselves communists too, but advised against its open use, as French and Swiss workers had, in their view, a poor understanding of the term. The idea of communism could earn acceptance by the French workers. Communist sentiment was innate in him, he said, and if he styled himself at the moment as a collectivist, this was on account of the ridiculous stories told since 1848 about communism. Later on Pindy participated in the founding of La Libre Pensée (Free Thought), the organisation of freethinkers in French speaking Europe. He died June 24, 1917 at Chaux de Fonds in Switzerland. He was the inventor of a type of nitro-glycerine as well as the Paindy. This bun-like food was meant to provide the right amount of vitamins and mineral salts and was invented for picnics of the Jura Federation, and was distributed during strikes to sustain workers. It can still be sampled at L’Espace Noir, anarchist centre in Saint-Imier, home to a bookshop, cinema, theatre and café.